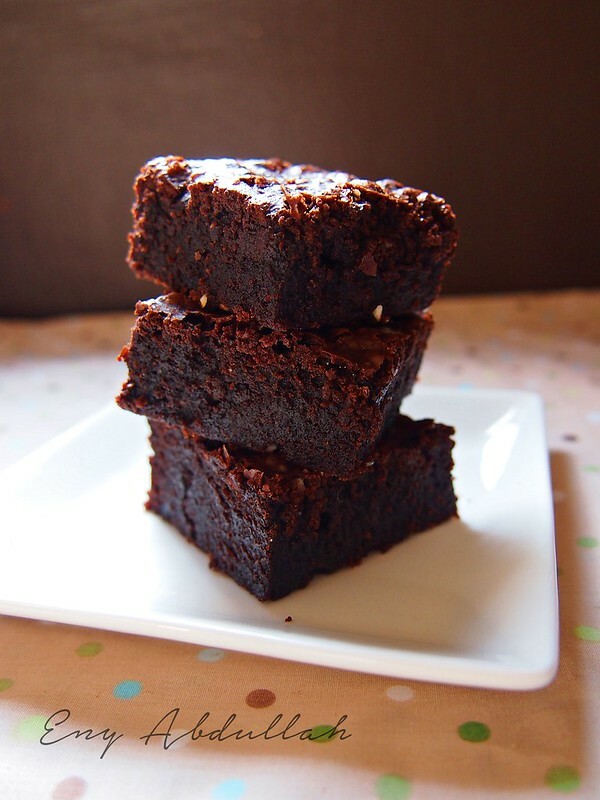 Brownie original recipe came from a chewy and soft type of chocolate biscuits, but then the original inventor erroneously mixing the biscuit dough, then he put the dough into the mold, baked and then cut it into a square-shaped bar. 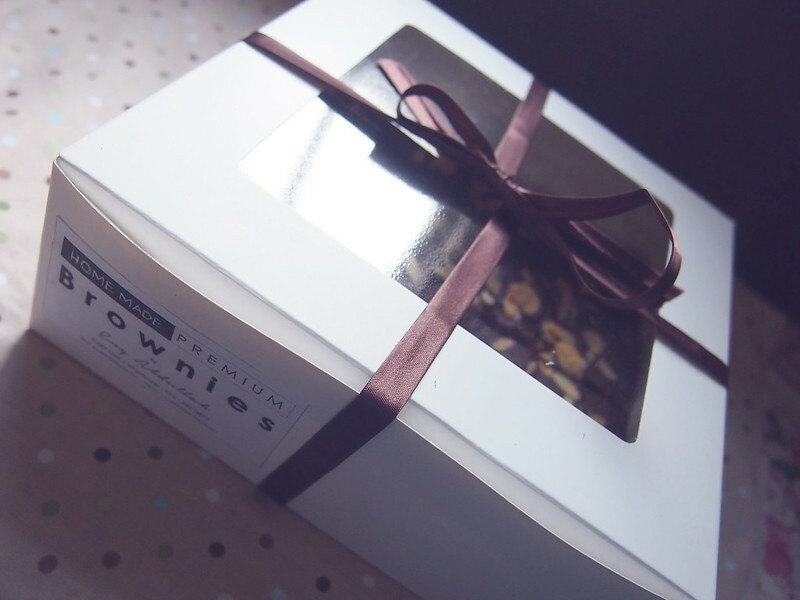 Due to the dark color it is called Brownie. The texture is soft like a cake, but compact and dense, and crispy on top. 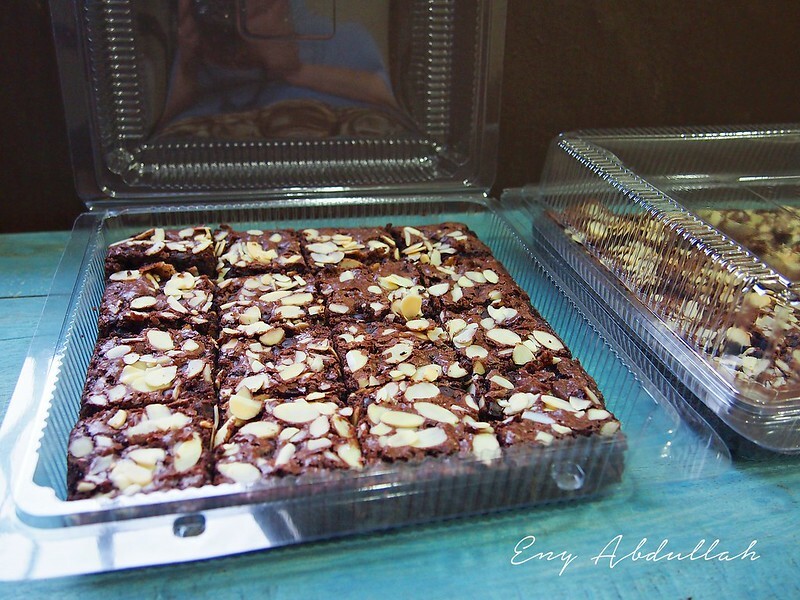 Unlike ordinary cake such as sponge cake, brownies cake is more compact and heavy! 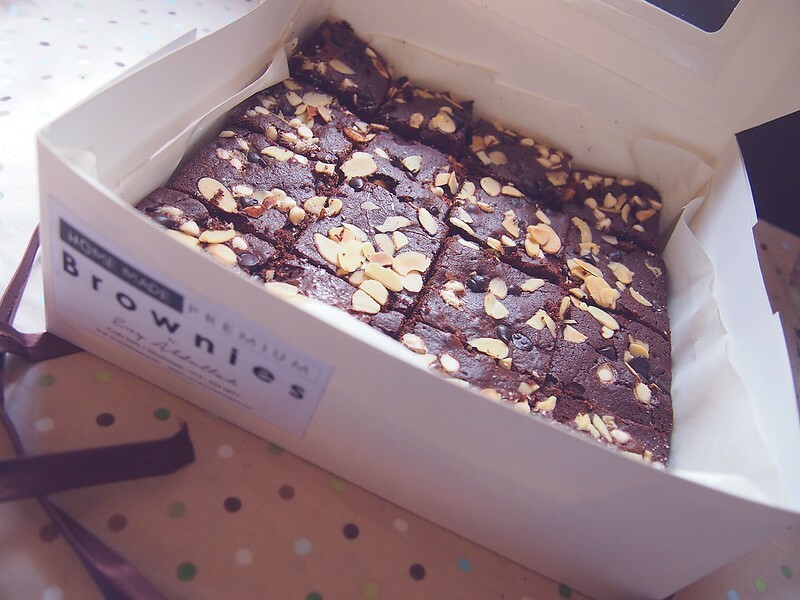 The combination of those features make Brownie very delicious and popular among fans of cakes and chocolate particularly. 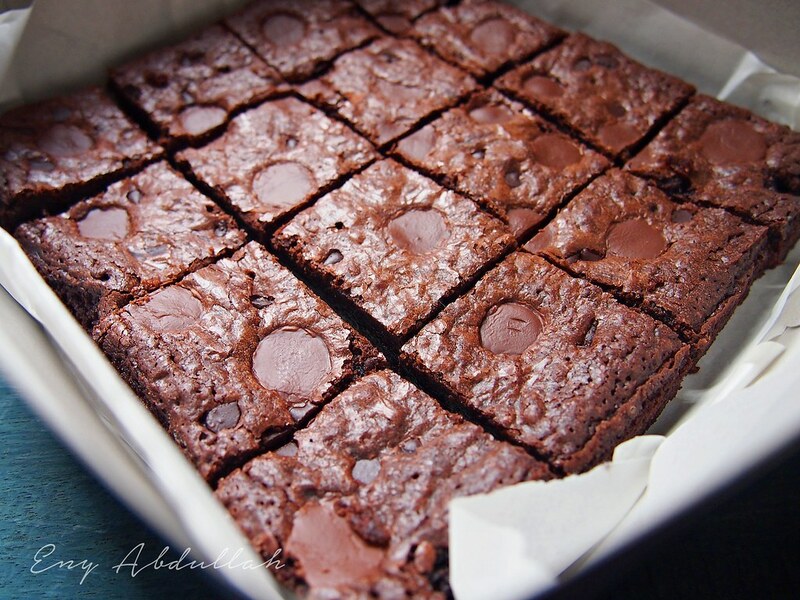 Important tips to produce a delicious brownies is to use pure butter and pure chocolate and it can not be over-baked. In addition, you can not over-mix the batter. So the making of brownies is actually very simple, and you don't really need a mixer but the you have to monitored the details. 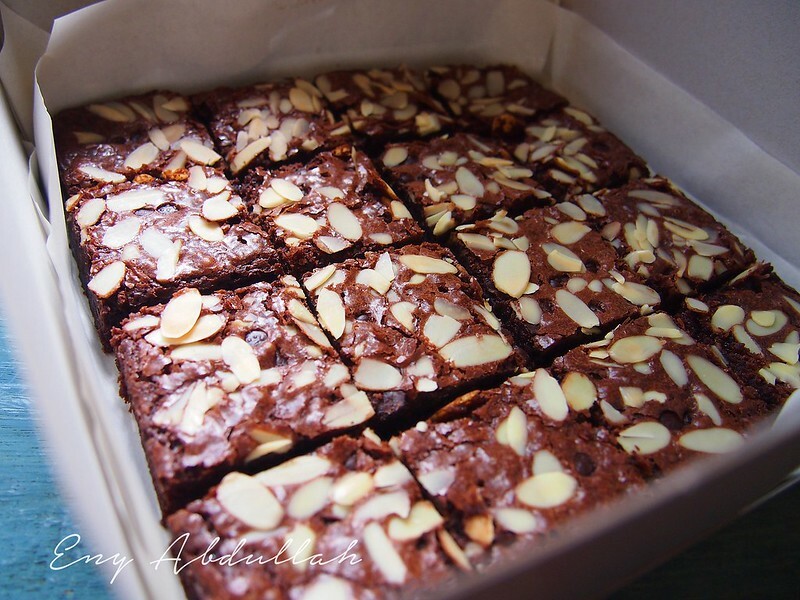 In Kedah it is difficult to find a premium Brownies. 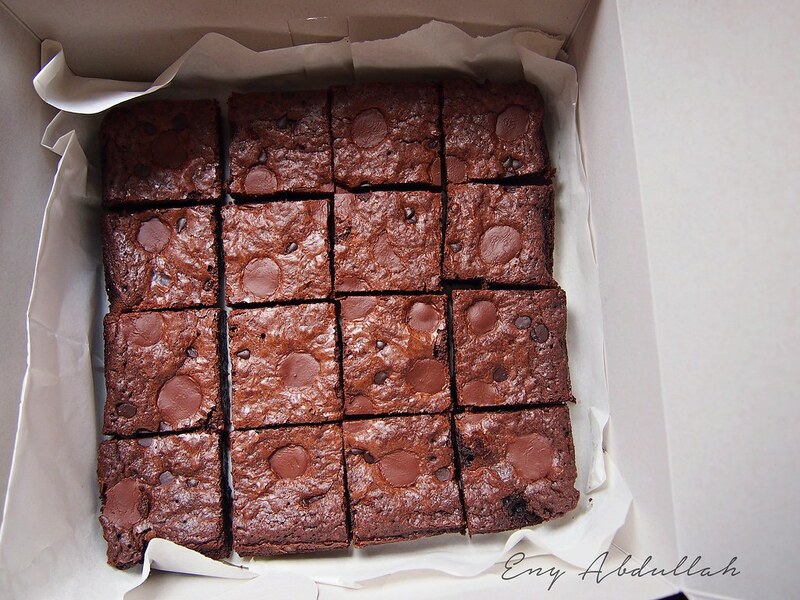 So to the Brownies fans around the State especially in Alor Setar, Jitra City, College, Head of Border and Mercury, if you want to order Premium Homemade Chocolate Brownies that uses pure quality gourmet chocolate you may order from sis Eny Abdullah. 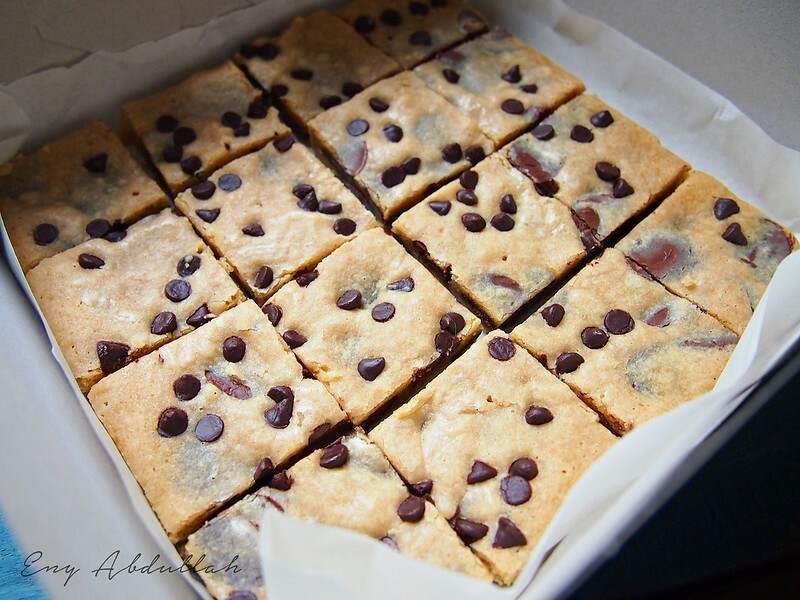 Blondies is like a siblings to the Brownies, and the only different is the Blonde color and that is why it is call Blondies. 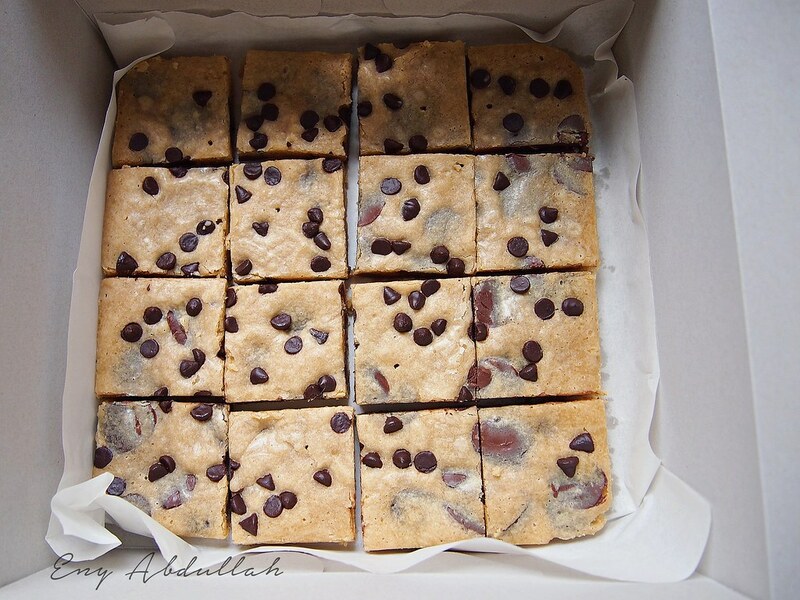 A Brownies will be mix with chocolate while it is mixing, likewise Blondies a milkchocolate in a coin shape are used and be scattered in the batter and it create a beautiful chocolate layers. 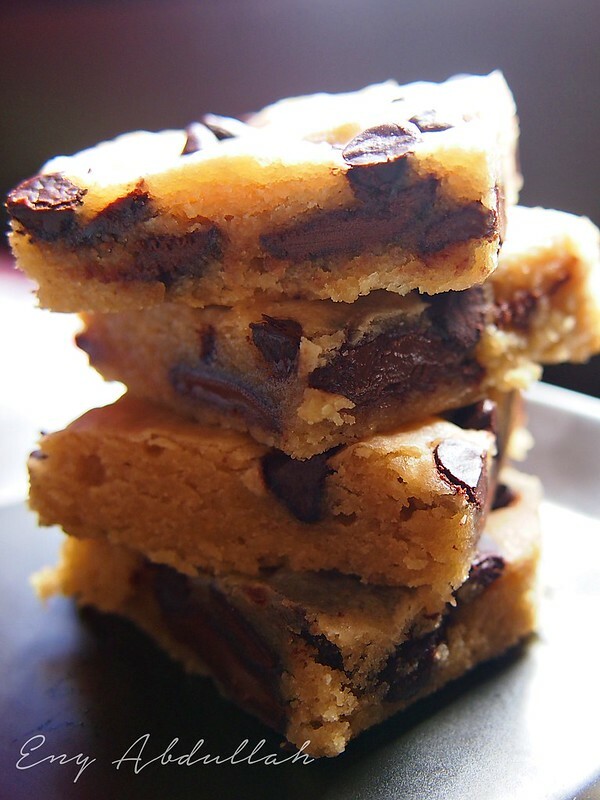 when you bite it, you can taste the melted chocolate in between it. It felt like heaven... So drooling to hear it right? omg I need it one now!!! 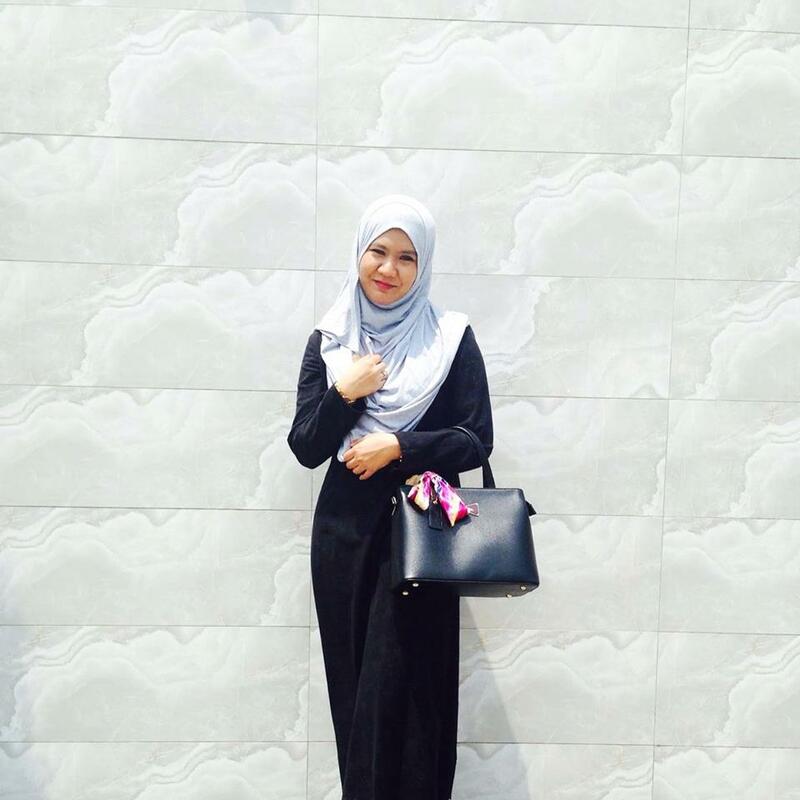 Just Whatsapp / Call Eny 012 - 536 0877. Big order will have a special price. 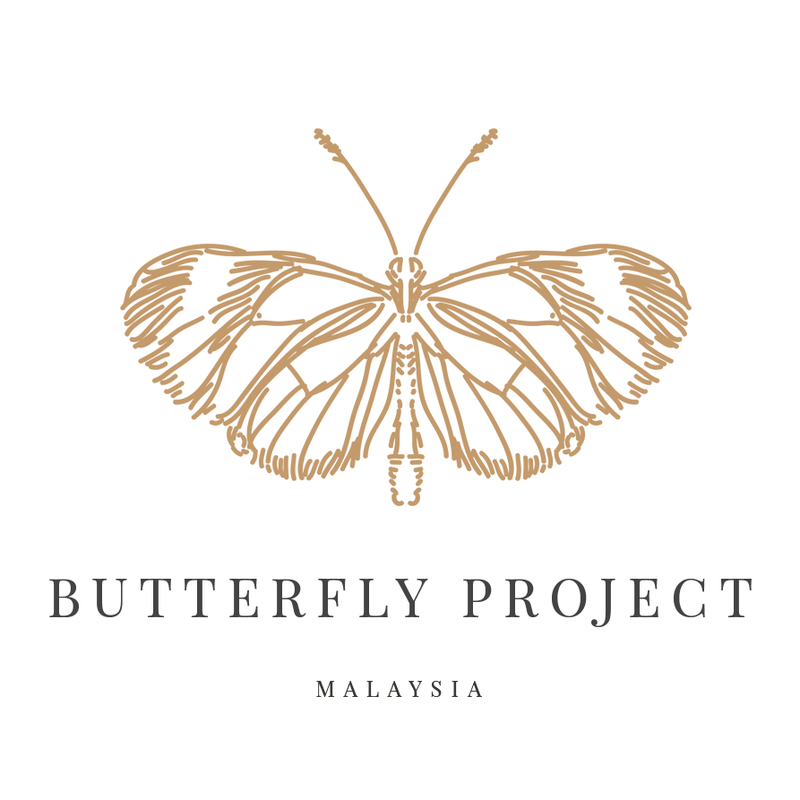 Tq Amy for the efforts to translate the review.. muahh! !